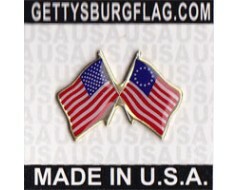 From the Heritage Series. 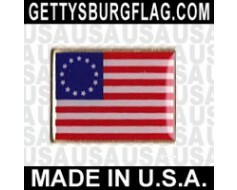 This series represents unique handcrafted workmanship and a patented antiquing process that are hallmarks within the industry. 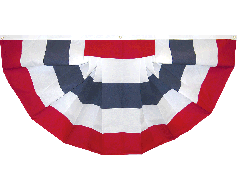 All products are constructed of carefully chosen American cotton that is also meticulously dyed to create a traditional, colonial feel. 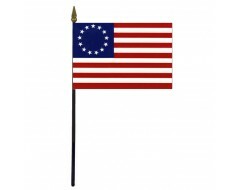 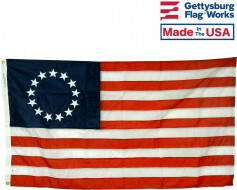 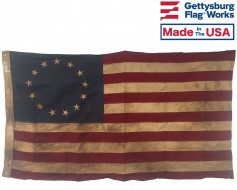 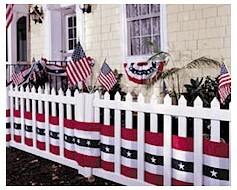 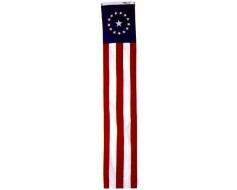 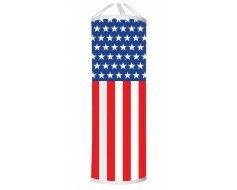 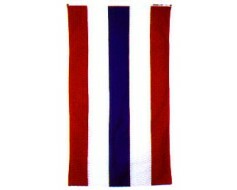 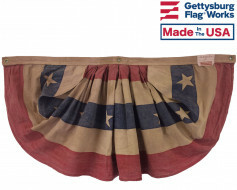 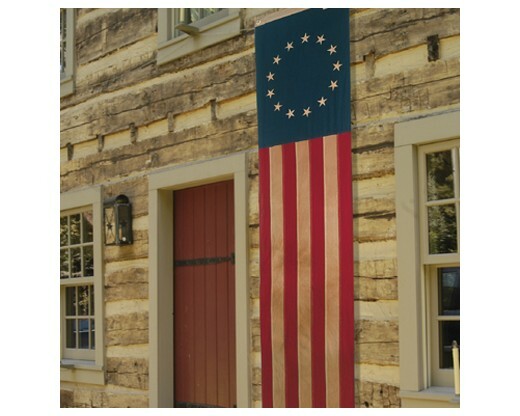 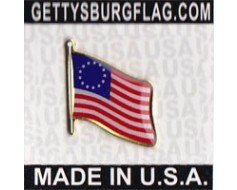 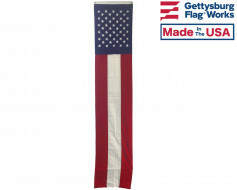 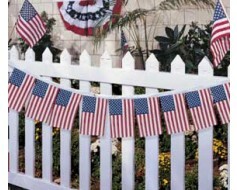 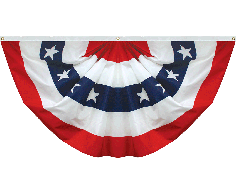 All flags and decorating products within the Heritage Series are 100% Made in the USA. 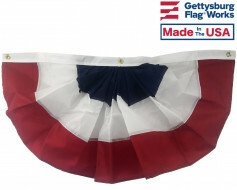 Grommets at the top for mounting.